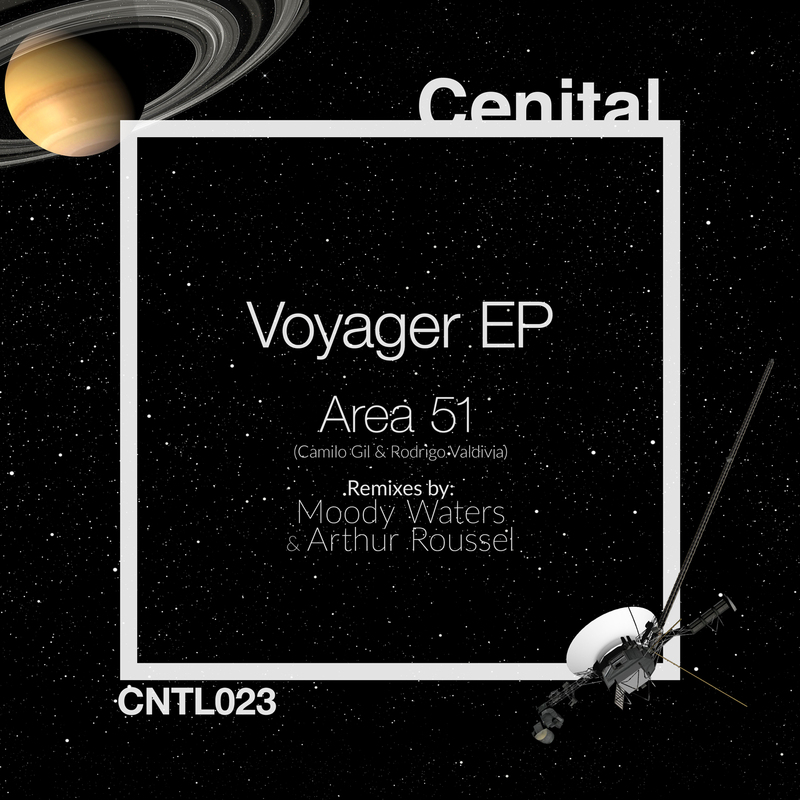 Area 51 is the name of the duo formed by Chileans Camilo Gil and Rodrigo Valdivia and who now present their new work, Voyager EP, made for Cenital Music. Area 51 is not just UFOs, extraterrestrial autopsies and shadow conspiracies to keep secrets about intelligent life out Earth (when we still have to prove that there is Earth); Area 51 is also the name of the duo formed by Chileans Camilo Gil and Rodrigo Valdivia and who now present their new work, Voyager EP, made for Cenital Music. These two artists they are certainly not newcomers at all. Camilo and Rodrigo have shared cabin in several countries with artists like Juan Atkins, Kevin Saunderson, Derrick May, Dandy Jack, Luciano, Carl Craig and many others. And they have published their music, together or separately, on labels of the likes of Cadenza, B.Soul, City Noises, Nite Grooves, Release / Sustain, Bla Bla, King Street Records or Trax Records. Area 51 brings us two original deep tech tracks with broken rhythms closer to the electro (‘Voyager‘) or with a touch tech-dub / leftfield (‘Astronaut‘), and always with a latin touch in the form of percussions or voices that are a breath of fresh air for any self-respecting session. Remixes are commissioned by another pair of excellent artists such as British Moody Waters and Frenchman Arthur Roussel. The enigmatic artist Moody Waters, part of the great label Release/Sustain, takes the theme “Astronaut” and takes it straight to the stratosphere based on an accelerated cosmic house with acid touches that is a delight for the ears and that will serve to warm more than one session; while Arthur Russel, head of the labels WORK IN PROGRESS and Hermine Records, opts for a more minimal version but with the same quality, based on groove content and sounds that suddenly emerge and disappear, creating an atmosphere (vacuum) very peculiar that serves to give more variety (yet) and class to this new release of Cenital Music. You can buy the release on Beatport, Juno and listen on Spotify, Deezer or Tidal.